When NASA’s Cassini spacecraft plunged into the planet’s atmosphere to end its 20-year mission in 2017, it dived between the planet and its rings. This last act before the spacecraft disintegrated allowed the instruments to precisely measure the amount of material in Saturn’s rings. 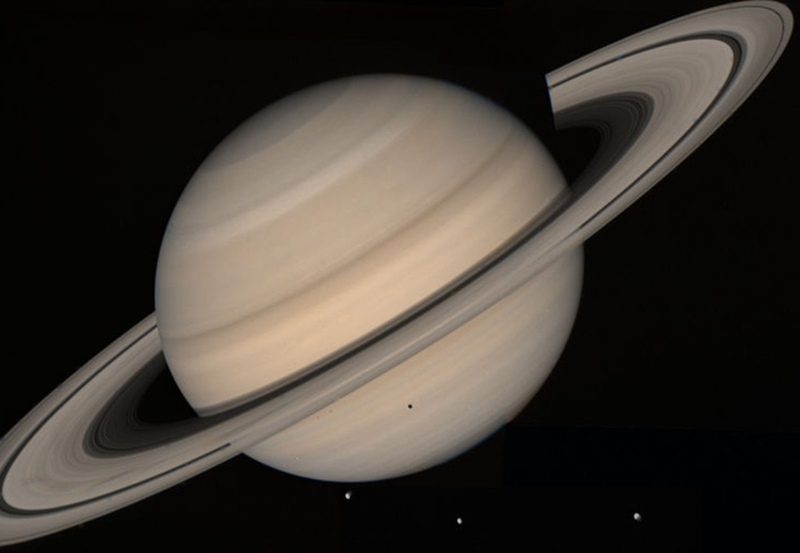 Knowing that weight also allowed scientists to determine the age of the rings. The material in the rings weighs about 40% of Saturn’s moon Mimas. The smooth, round moon has an impact crater that caused people to compare it to the Death Star from the “Star Wars” films. But in order to even get the right measurements, the scientists had to account for deep flowing winds in Saturn’s atmosphere. These flows look like massive clouds about 6,000 miles deep. The surface clouds at Saturn’s equator rotate 4% faster than this deep layer. They also determined that the planet’s rocky core is between 15 and 18 times the mass of Earth. This adds to previous science results from Cassini’s “death dive” that are unlocking the mysteries of Saturn.